Information: Ada Dziewanowska, teacher and author of a book about Polish dance. 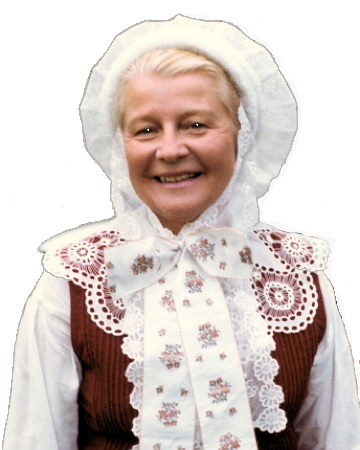 Ada was born and raised in Poland, learning the traditions and celebrations of the Posnania, Pomerania, and Kujawy countrysides. She learned Polish national dances in school. With her writer and historian husband, Kamil, Ada came to the United States in 1947. For several years she taught Polish conversation at Harvard University in the capacity of the native speaker. Ada studied dance at the Boston Conservatory of Music and from 1963 to 1972 directed and choreographed for the Krakowiak Polish Dancers of Boston, who were first-prize winners at the prestigious Rzeszów Festival held since 1969 for the world Polonia folk dance and song ensembles. Interestingly, Ada's children, Basia and Jaś, were also members of this ensemble. In 1979, the Dziewanowskis moved to Milwaukee, Wisconsin and since 1979, Ada has been the artistic director and choreographer of the Syrena Polish Folk Dance Ensemble of Milwaukee. The ensemble, about 40 members strong, has some 13 suites, composed of either national or regional dances, each of which is performed in 8 to 12 sets of original costumes. Syrena has given concerts in the United States, Canada, Poland, and Japan. Ada instructs other Polish-American ensembles and American ensembles with international repertoire, arranging choreography, singing, music, and costuming. Beginning in 1967, with Jaś as her partner, Ada has given numerous workshops on Polish dance and folklore in the United States, Canada, Belgium, Germany, Switzerland, Israel, Mexico, Taiwan, Hong Kong, and Japan. The Dziewanowskis have taught at the top folk dance camps from the east to the west coast, including Ralph Page's New Hampshire Camp, the Michael and Mary Ann Herman's Maine Folk Dance Camp, and Stockton Folk Dance Camp in California. At the camps Ada is known for her enlightening and humorous presentations at "culture corners" and at the "talent shows." Ada continues to research the dances and music of Poland and has a large collection of Polish folk costumes and folk art. In the course of her visits to Poland, she attained a certificate in dance instruction in 1979 from the Marie Curie-Skłodowska University in Lublin. "Cross of Merit of the Polish Republic" signed by President Lech Wałęsa, November 1994. "Meritorious for Polish Culture" award of the Minister of Culture and Art of the Polish Republic, July 1997. "Expressive Cultural Heritage Award" from the International Institute of Wisconsin, April 1998. "Lifetime Achievement Award" from the Polish Folk Dance Association of the Americas, June 1998. "Distinguished Service Certificate" from the Polish American Congress, November 1999. "Creative Arts Award" from the Polish American Historical Association, January 2000. Plaque of recognition for outstanding contributions as a Volunteer from the Lira Ensemble, Chicago, October 2000. "Preserving our Legacy" award from the National Folk Organization (NFO) of the USA, February 2001. "SACFEST 2001 National Folk Dance Award" from the San Antonio College Folk Dance Festival, March, 2001. 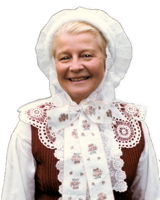 Ada has contributed articles on Polish dance and folk customs in various folk dance magazines and Polish-American papers, such as the Ontario News, Mixed Pickles, National Folk Organization News, and Polish Heritage Newsletter. Ada and Jaś have collaborated on several fine recordings of Polish dance music. The latest are two 90-minute audio cassettes with music for the dances described in her book. The book and the cassettes have been sold all over the world. On February 3, 2007, the Syrena Polish Folk Dance Ensemble presented their 20th Annual Masquerade Ball in honor of Ada's 90th birthday. The day was designated as "Ada Dziewanowska Day" with a lit sign atop the Milwaukee Town Hall tower. At 90, she continues to take classes in Mind Aerobics and Tai Chi, and serves vodka from Poland at the various dinner parties that she gives. She reads at the Holy Masses in the St. Anne's Chapel, organizes and sings at the International Christmas Choir, sells things in their botique (called the "Emporium"), and works at their Bazaar and Open House. Polish Folk Dances and Songs: A Step-by-Step Guide. New York: Hippocrene Books, 1997, by Ada Dziewanowska, with Basia Dziewanowska, Jaś Dziewanowski, Staś Kmieć, and Jacek Marek. This work contains in-depth descriptions of more than 90 of Poland's most characteristic and interesting dances, including the national dances: the Polonez, the Mazur, the Kujawiak, the Oberek, and the Krakowiak, as well as selected regional dances from the five ethnographic areas of Mazowsze, Małopolska, Silesia, Wielkopolska, and Pomorze.